We received an urgent call from a resident in Midstream Estate. His staff had slipped and hurt themselves on the tiled walkway to his front door. Concerned for their well-being he asked that we come out immediately and apply our anti-slip coating to prevent any further injuries. 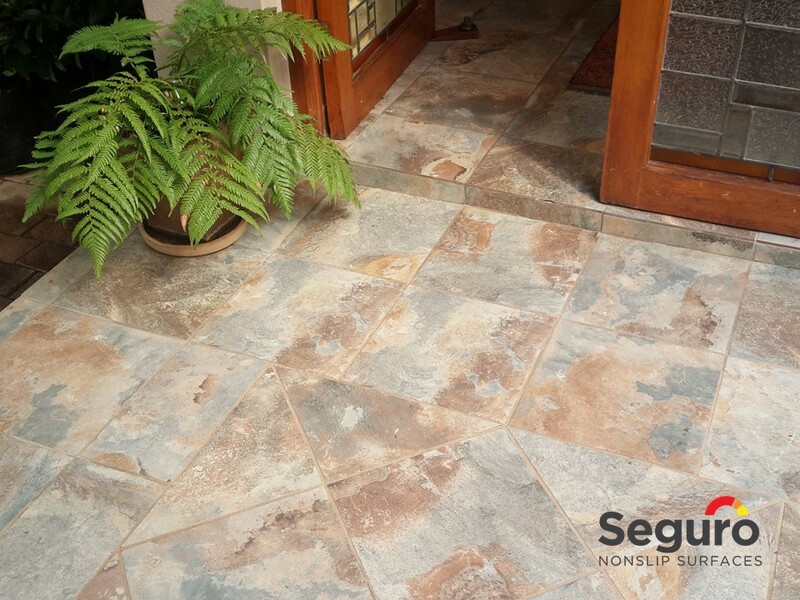 The walkway from the front gate to and into the entrance of the house is tiled with a faux slate ceramic tile. Our titanium anti-slip coating is perfect for this type of surface. It adds slip-resistance without changing the appearance of the tile.